Julian Anderson writes with an inherited wisdom that sounds wholly integrated into his own direct emotional dexterity and discernible technical sophistication. Julian Anderson seems to have come into the world in fully realised compositional maturity. Turning 40 in 2017, he writes with an inherited wisdom that sounds wholly integrated into his own direct emotional dexterity and discernible technical sophistication. 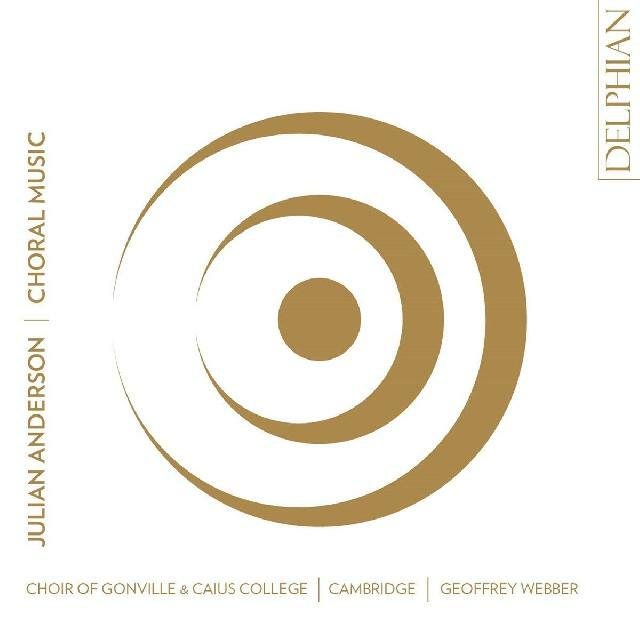 This first collection of a cappella and organ-accompanied choral works – an idiom not typically associated with Anderson – greatly benefits from luminous and lithe performances by the mixed-voice Choir of Gonville and Caius College under Geoffrey Webber’s deftly adroit direction. It adds considerable lustre to Anderson’s arsenal with music whose beauty and intensity of expression ranges seamlessly from the stark and stringent to the sensual and sublime. The inclusion of Girolamo Frescobaldi’s Toccata quarta serves as a plangent interlude while offering a telling adjunct to Anderson’s own complex engagement with faith and feeling. Beautifully engineered sound by Paul Baxter boasts Delphian’s signature high standards, with Peter Quantrill’s booklet notes both illuminating and eloquent.